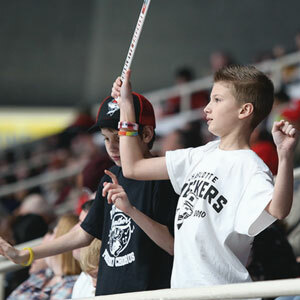 Our Fan Experience Programs allow your group the opportunity to be more than just a spectator for any Checkers home game. 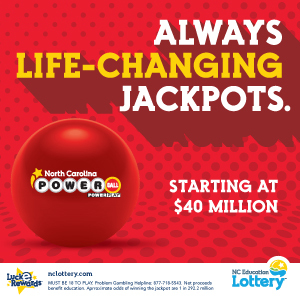 A minimum ticket purchase is required for each of the following programs unless otherwise noted. 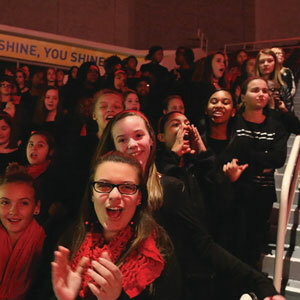 Programs are filled on a first-come, first-served basis, so reserve yours today! 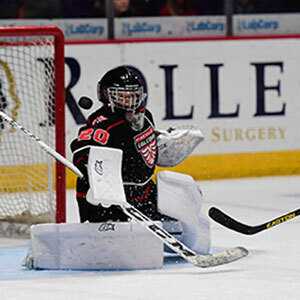 Be part of the game as you drop the puck between two players prior to the start of the game. 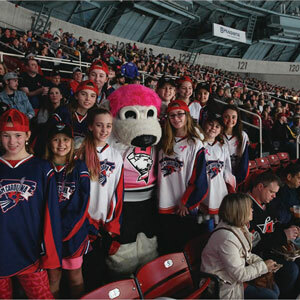 Raise money for your nonprofit by selling Chuck-a-Pucks in the stands! Keep half of whatever you sell. 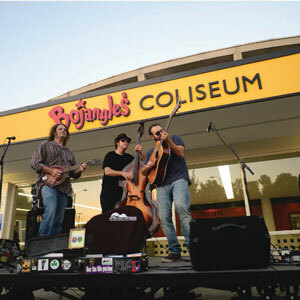 Showcase your talents outside the entrance of Bojangles’ Coliseum before each Checkers game. We’ll recognize a member of your organization from the riser and on the video board! Sing the National Anthem or God Bless America in front of our fans! Audition or recording required. 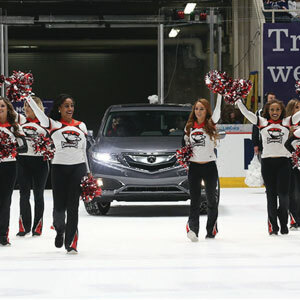 Ride in the CheckMate Car while your CheckMates perform on the ice! Up to three riders allowed. 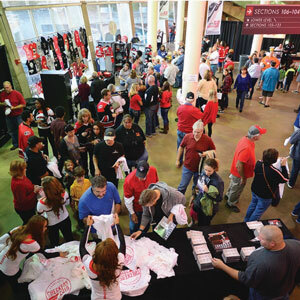 Walk out on the ice with the CheckMates and help pick up pucks in front of the crowd! 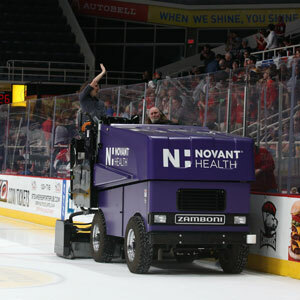 Ride in style and be recognized during an intermission! 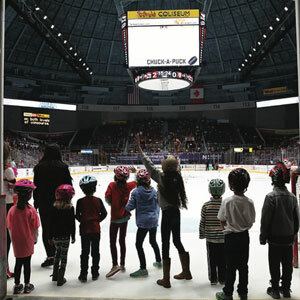 Ages 7 and up, one ride per group rep.
Get up close and personal by high fiving the players as they take the ice. Get on the videoboard and dance with the CheckMates on stage! 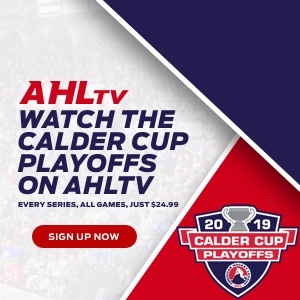 You and up to seven of your friends to watch warmups from the penalty box. Skate out on the ice with the players during intros and the National Anthem! 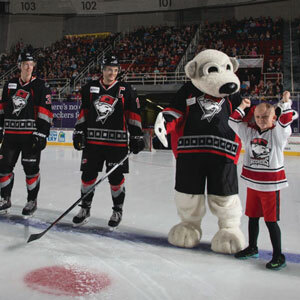 All ages and skill levels can skate and/or play hockey prior to a Checkers game. 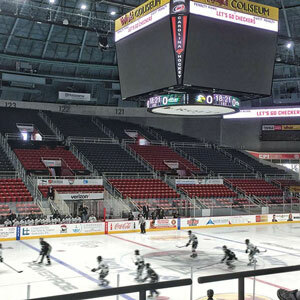 Youth players of all ages can play where the pros play during the first intermission.